Give your body a boost with one of our invigorating Body treatments. If your skin is just feeling a bit sluggish and dry, or you are concerned about cellulite and bad circulation, have a look at our brilliant body treatments below and give your body the blitz it needs! We are sure that anyone needing to smooth or lift their derriere will adore this CACI Bottom Lift Treatment. Using the latest cutting-edge technology, this luxurious treatment gives instant results in reducing the appearance of cellulite around the bottom, back of thigh and calf area. In addition, it also helps to tone and life the muscles in these areas for noticeable results. Anyone in the Aylesbury area who wants to give their bottom a quick and easy makeover will love this CACI Bottom Lift Treatment. We are sure that anyone needing to smooth or lift their derriere will adore this CACI Cellulite and Bottom Lift Treatment. Using the latest cutting-edge technology, this luxurious treatment gives instant results in reducing the appearance of cellulite around the bottom, back of thigh and calf area. In addition, it also helps to tone and life the muscles in these areas for noticeable results. Anyone in the Aylesbury area who wants to give their bottom a quick and easy makeover will love this CACI Cellulite and Bottom Lift Treatment. A Clarins Body Polish is a popular body treatment that exfoliates and hydrates your skin, leaving it smooth and soft. It is like a facial for the body! 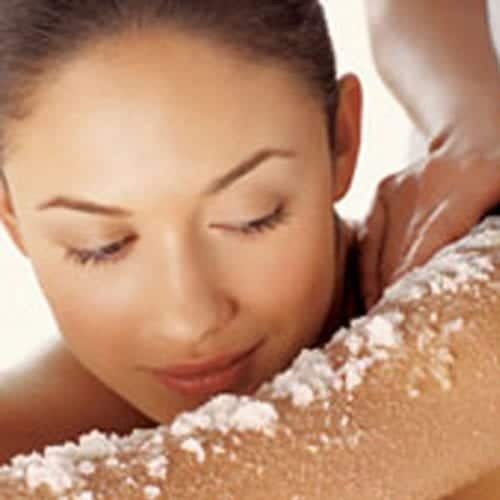 The skin is buffed, polished and exfoliated with a revitalising body scrub to remove all dead skin cells. Then a rich Clarins moisturiser is massaged into the whole body to revive, nourish and leave your skin feeling silky smooth. This is an exfoliation body treatment in which the therapist uses a customised blend of aromatic oils and creams to unblock the lymph nodes. This addresses problems such as fluid retention and loss of skin tone. The body will then be moisturised to leave the skin smooth, revitalised and gleaming from top-to-toe. Introducing our advanced treatment for your hands! Using our diamond head microdermabrasion techniques in addition to Hydro Regulators or Eclavatin, the moisture level and condition of your hands will be dramatically improved. The treatment finishes with a hand massage. Don’t forget, your hands show your age too! Why not treat your hands to something new today?